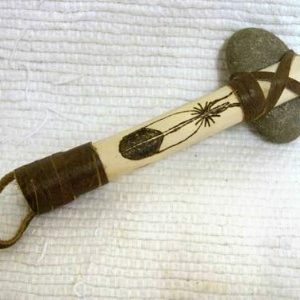 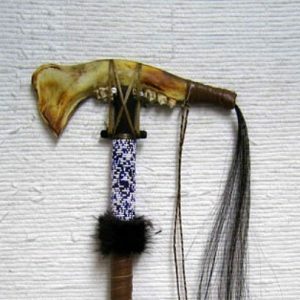 This Deer Horn Spirit Tomahawk was created by a popular Creek Creek artists who ancestors with these beautiful implements. 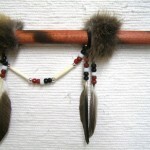 Each one is tediously hand made. 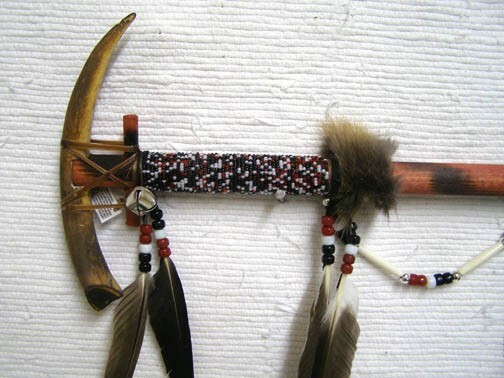 The glass seed beading and finish is unique or different for each tomahawk. 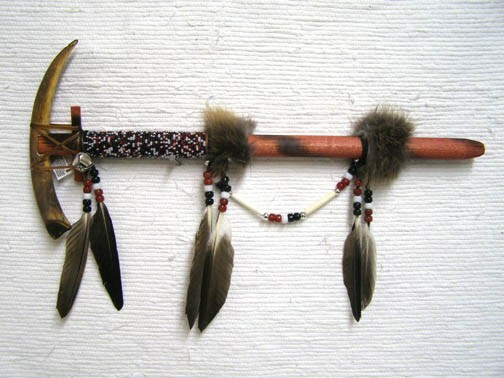 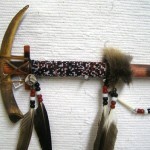 Each Deer Horn Spirit Tomahawk is decorated with seed beads, a beaded drape, bits of fur, feathers & a bell for protection. 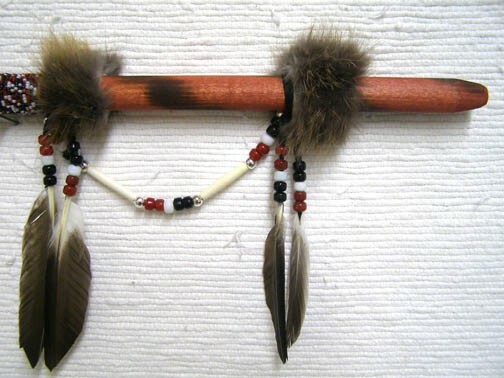 Leather & bead coloring, feathers & fur will vary. 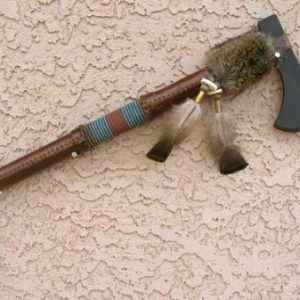 This tomahawk measures 21 inches in length.